Scroll down, articles are after the photos. 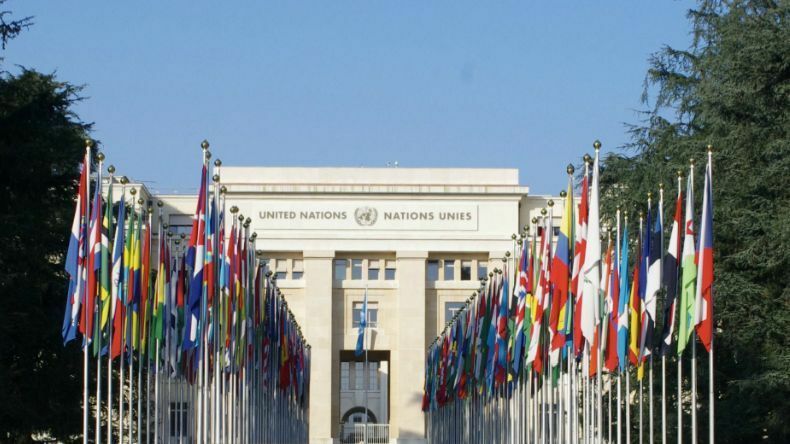 So far APRED does not have ecosoc status, but our coordinator, Christophe Barbey, is representative at the UN in Geneva for The Center for Global Non-killing and for Conscience and Peace Tax International. Les articles sont après les photos. Actuellement, l’APRED n’a pas (encore) de statut consultatif auprès de l’ONU, mais notre coordinateur, Christophe Barbey, y represente à Genève pour le « Center for Global Non-killing », le (Centre pour un monde qui ne tue pas) et Conscience and Peace Tax International (Taxes et conscience international). 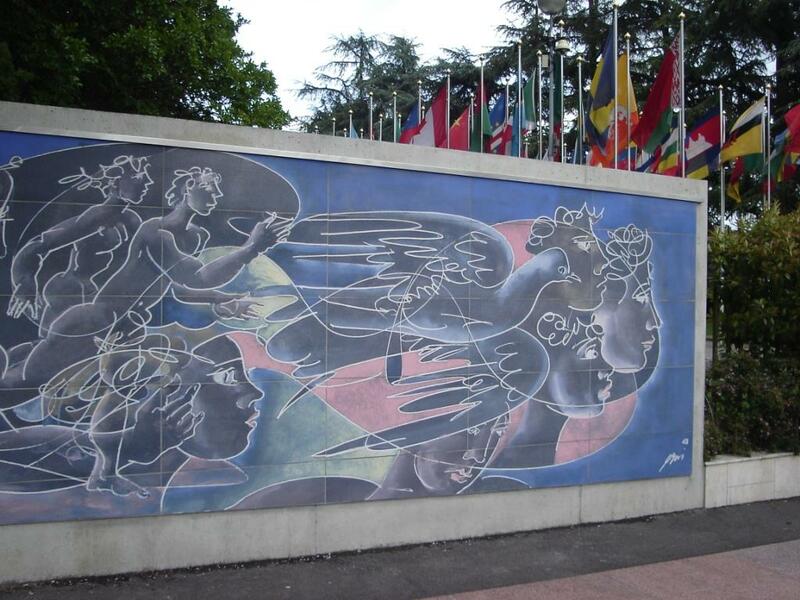 The entrance, with the 195 Flags (193 State members and 2 observers) and the Hans Erni Painting, followed by some views of the 70th anniversary.